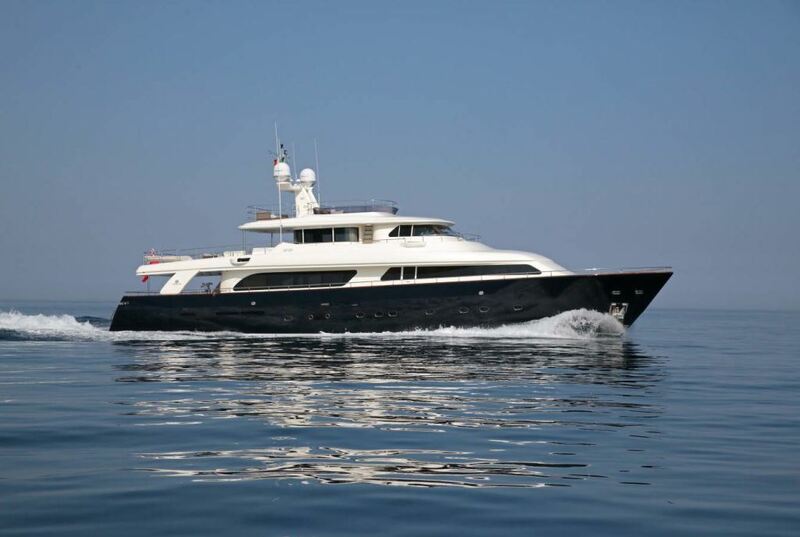 M/Y LADY SOUL is a 30,95m (101' 6") Ferretti motor yacht as launched in 2006 and designed by Zuccon International Project. 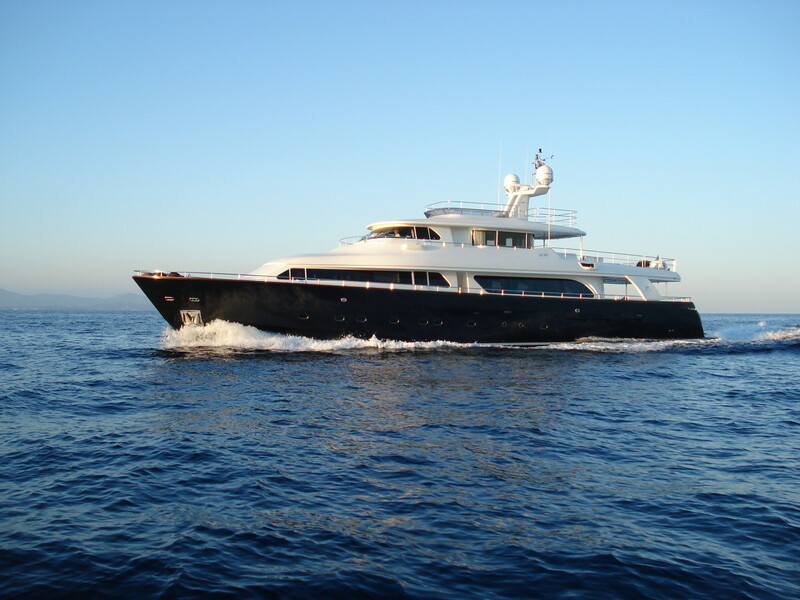 She can accommodate up to 9 charter guests overnight and offers cherry wood paneling and oak parquet flooring throughout and features cream leather furniture complimented by oak wood. 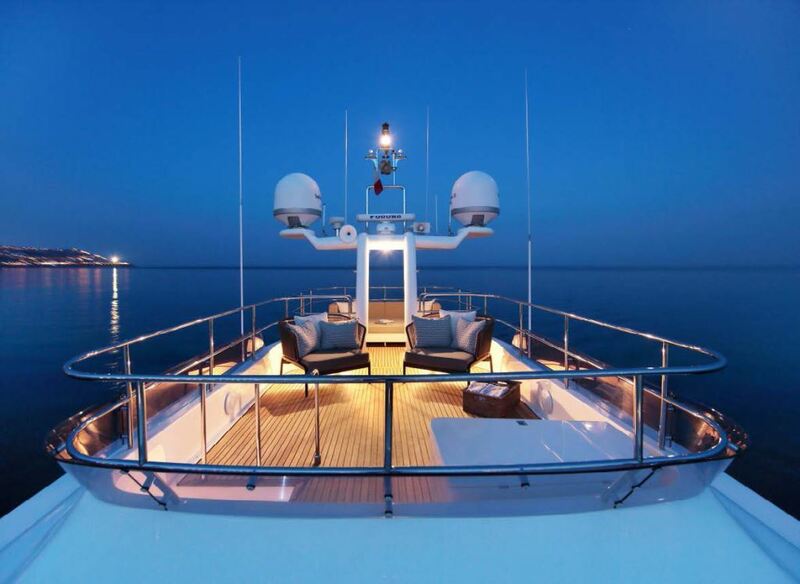 On board charter yacht LADY SOUL, each stateroom has an ensuite and a porthole for natural lighting; Mood lighting; B-Days; personalised yacht stationary; Molton Brown toiletries and spare toiletries for forgetful guests; heated towel rails and Egyptian cotton sheets. 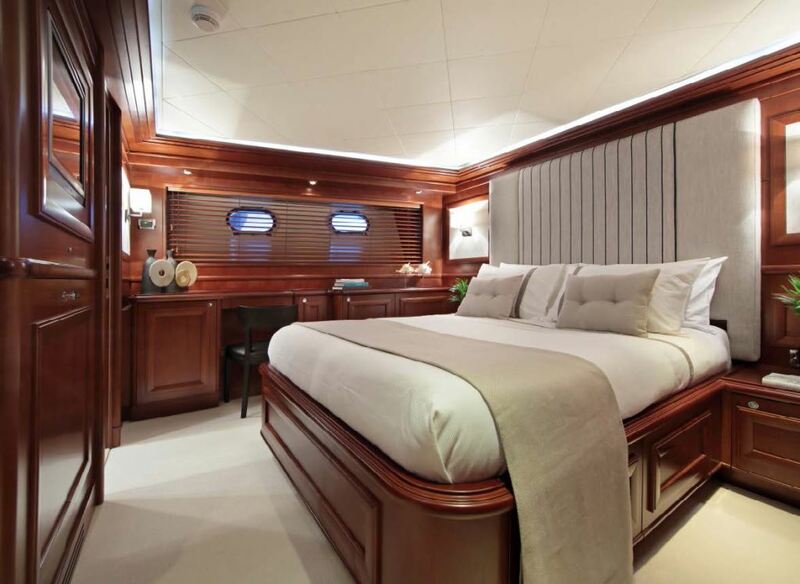 The Master stateroom may be sealed off making private quarters and is located on the main deck with a kind sized bed. 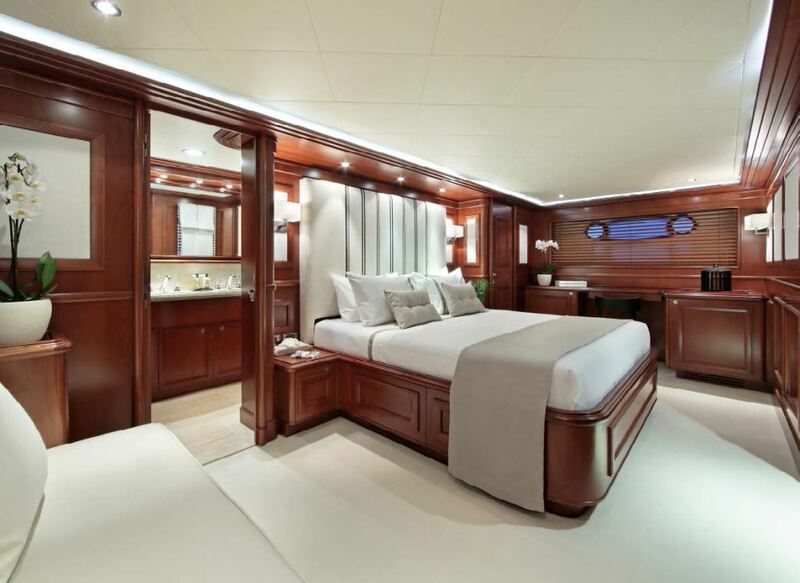 The ensuite features a Shower, Spa Pool bath, Double sinks and Italian 'oynx' marble complimented with cherrywood finishing. 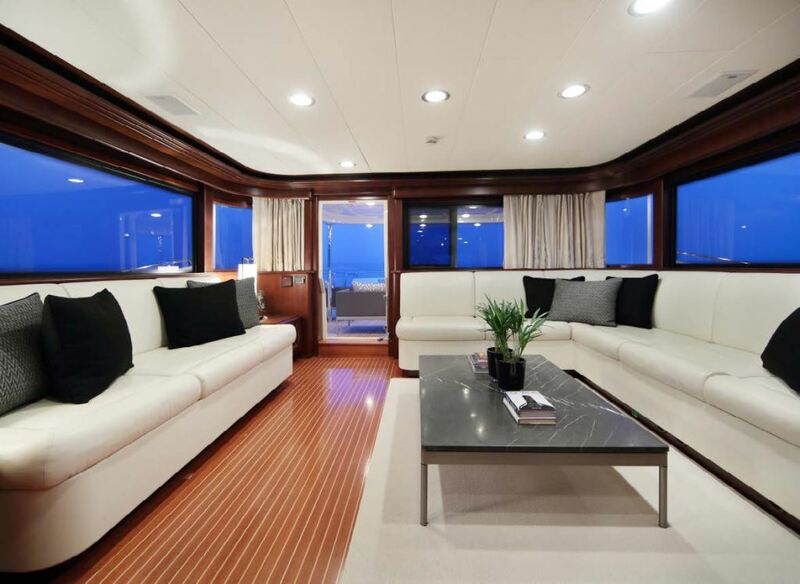 The master cabin also has a Safe, Fridge, Desk, Vanity, 2 Walk-in closets with stylish glass draws and plenty of storage throughout the cabin. There is a Plasma TV (42"), Sat and sky TV decoder, CD and DVD player. 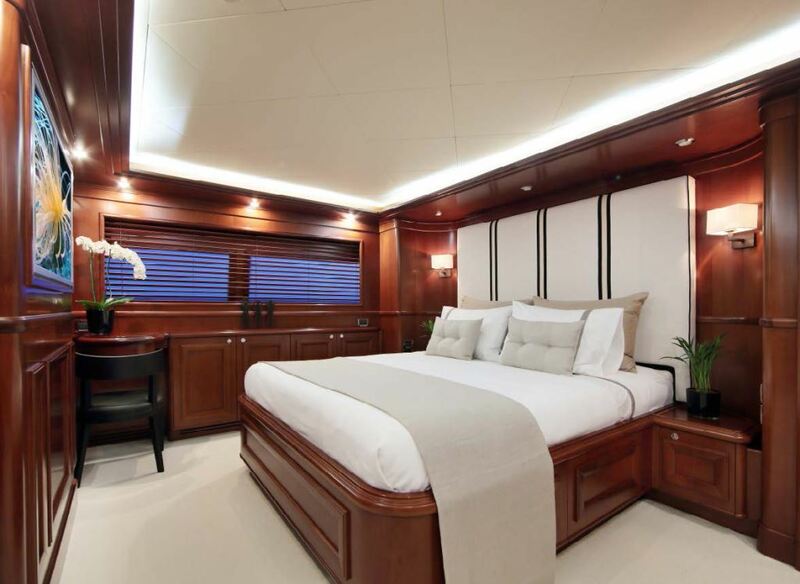 The VIP stateroom spans the full beam of the yacht and has a queen bed, walk in closet, Safe, a 2 seater couch, LCD TV (22"), Sat TV decoder, CD and DVD player. The ensuite has a heart shaped Spa Pool with shower, beige Italian marble, and a Vanity with a double sink. 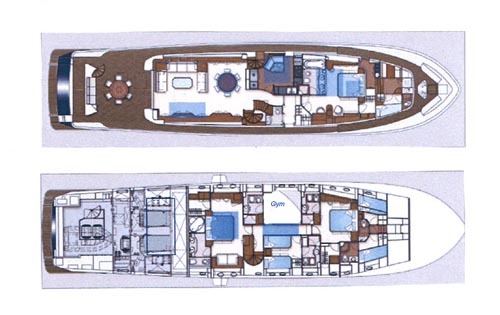 The Queen stateroom has a walk in closet with glass set of draws, LCD TV (22"), Sat TV decoder, CD and DVD player. The ensuite has a shower and features beige Italian marble. 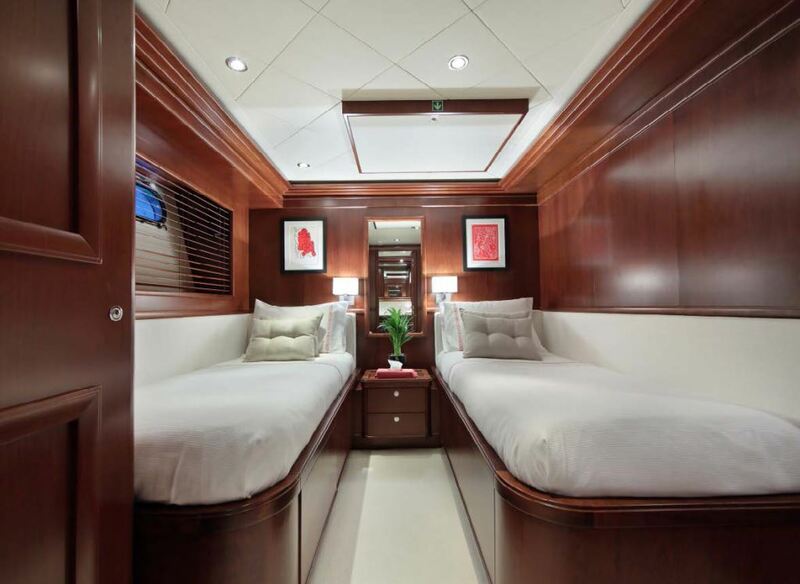 Finally, the Twin cabin which has one Pullman berth features a full length closet, LCD TV, Sat TV decoder, CD and DVD player. 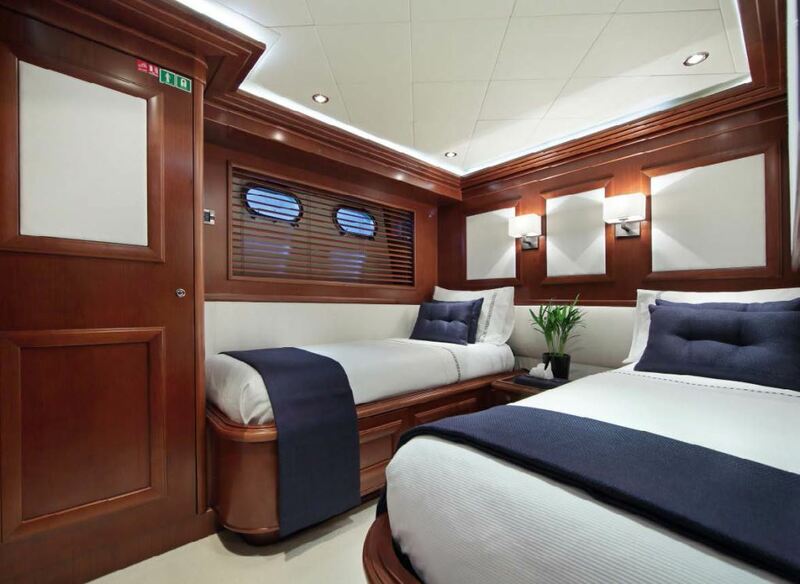 The twin ensuite has a shower and beige Italian marble. 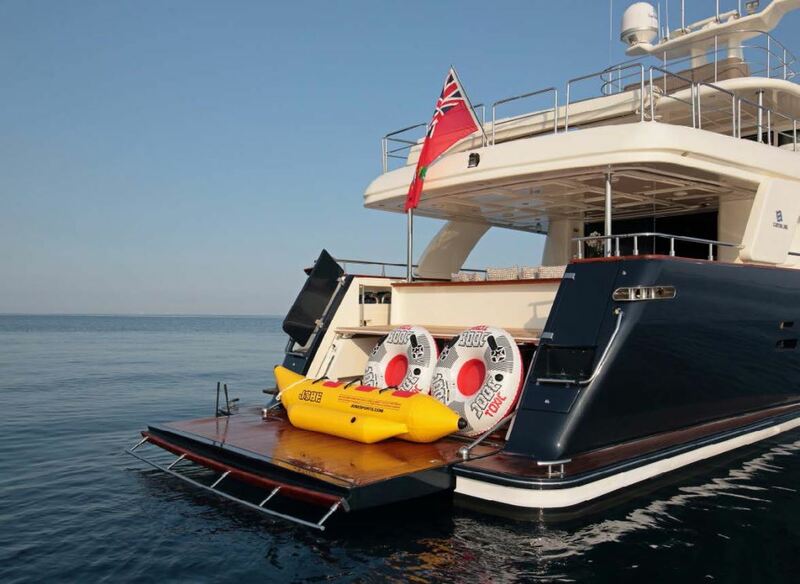 Also on the lower accommodation level is a GYM room with exercise bike, full set of Dumbbells, AB sculptor with DVD program, Bathroom with shower, BD and sink as well as a closet for extra guest storage. 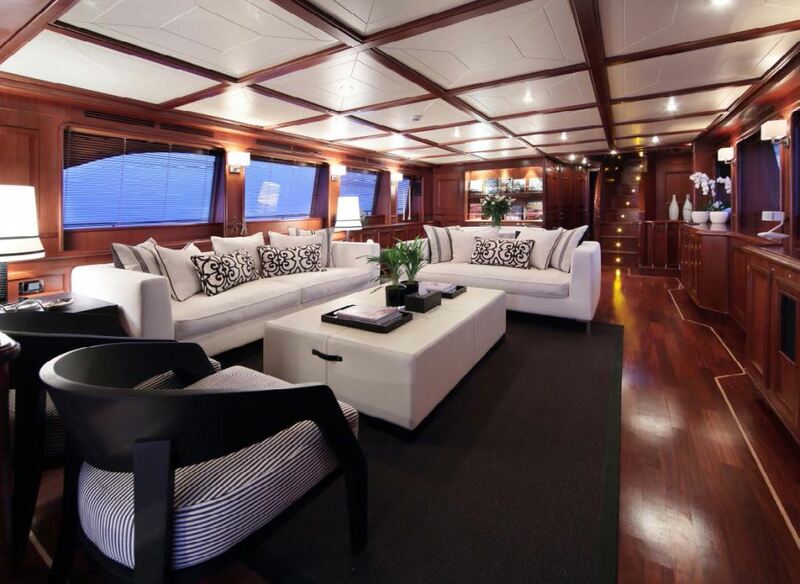 Motor yacht LADY SOUL’s main salon features a lovely sitting area with entertainment center and seating and forward is the adjoining formal dining room with extending dining table for 8 charter guests. 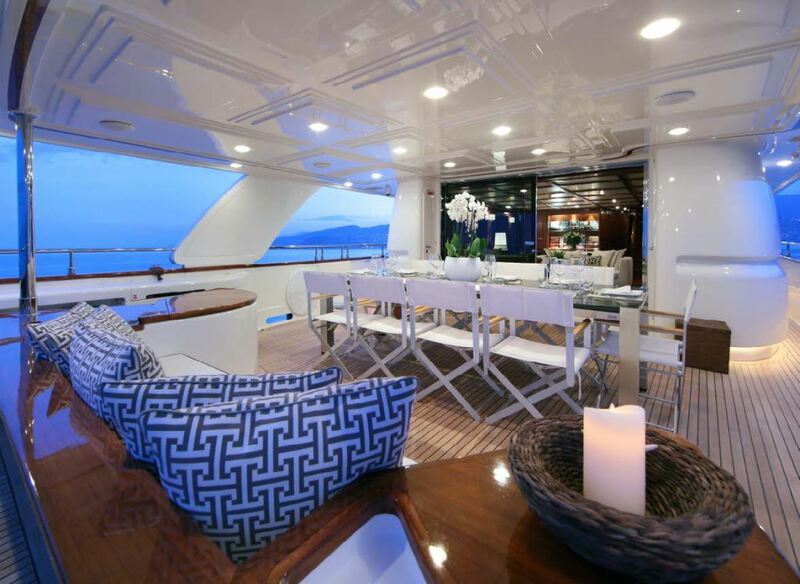 Also on this deck is a powder room, galley, and the master stateroom. 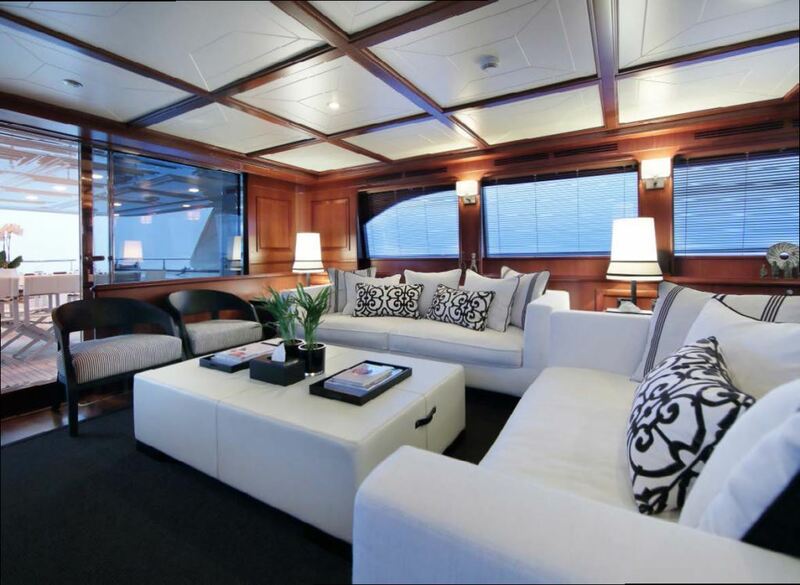 The upper deck of yacht LADY SOUL features a salon with comfortable cream leather settees and coffee table, a cocktail bar and a 24" plasma TV. 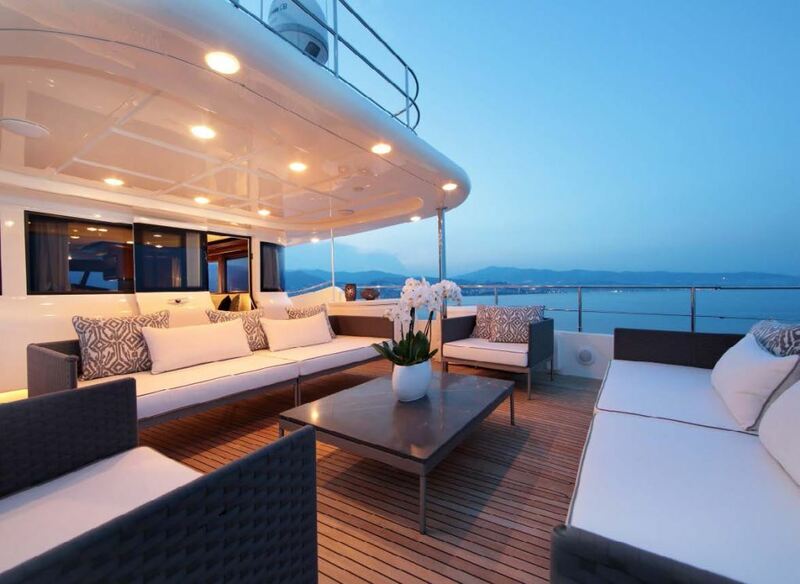 The aft Bridge deck has a table with seating for 8, BBQ, chaise lounges. 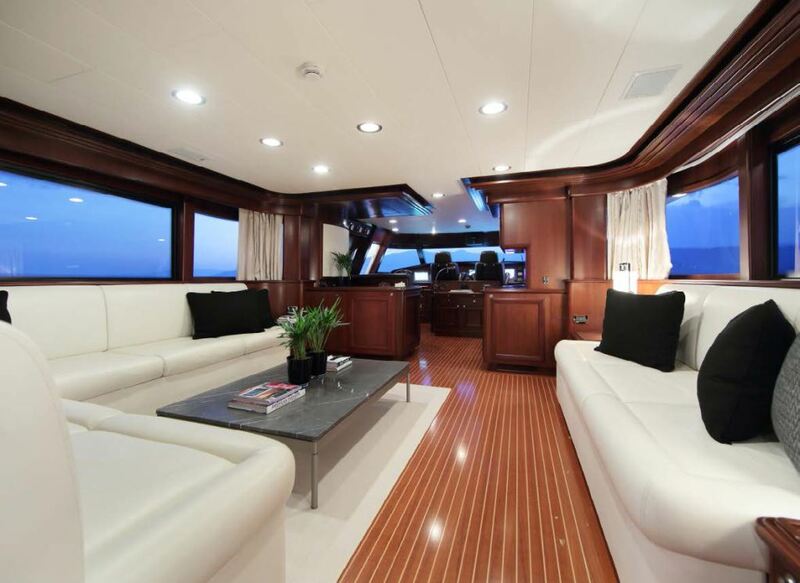 There is a settee forward in the wheelhouse for easy map reading by guests to decide itinerary. 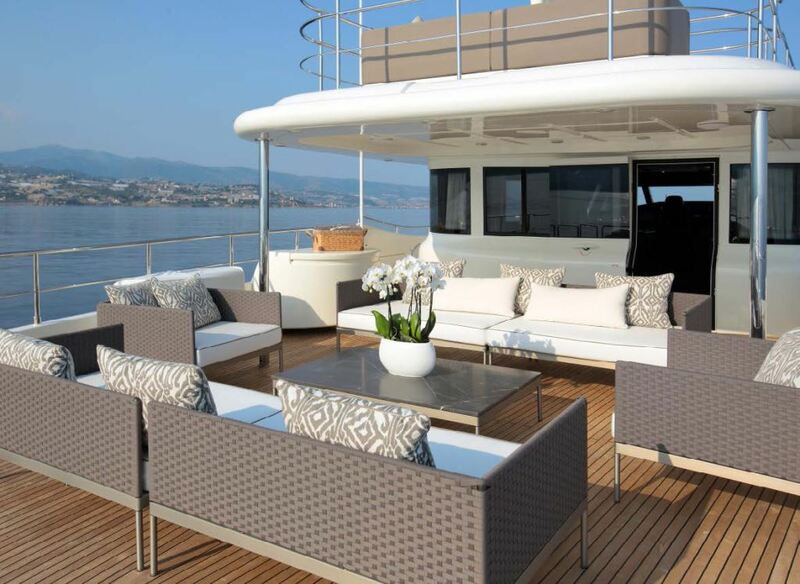 The LADY SOUL motor yacht has a Sundeck with sunpads aft and 2 orthopaedic chaise lounges. 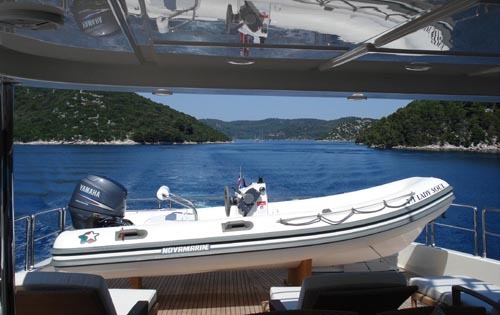 Her aft deck features alfresco dining for 8 guests and a settee and there is a seat forward of the wheelhouse that overlooks bow for guest observation of port manoeuvres. 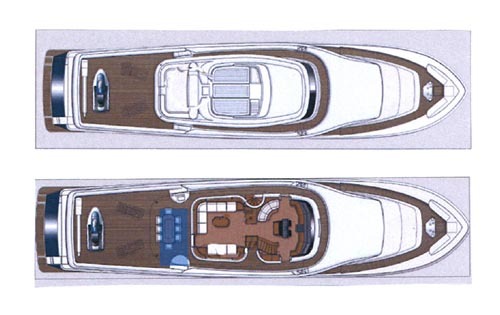 LADY SOUL has a Passerelle/stern boarding as well as side boarding and a swim platform / ladder. 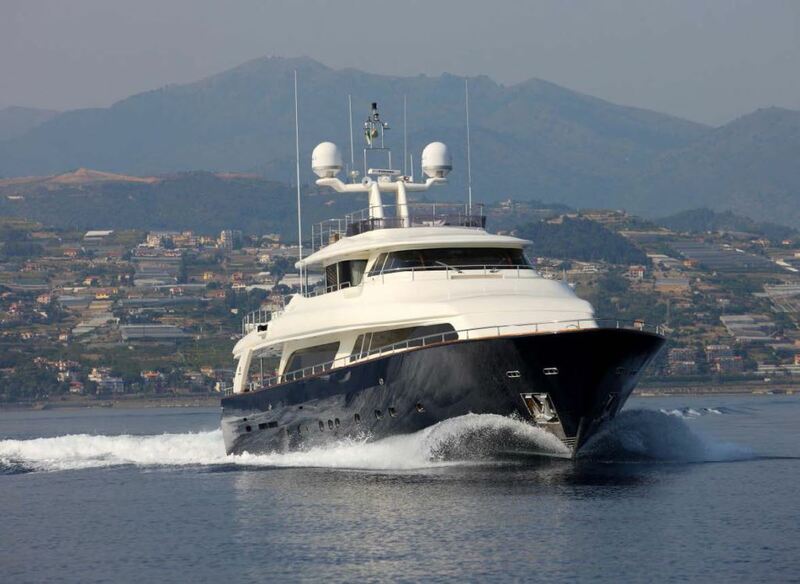 M/Y LADY SOUL provides Guest Accommodation for up to 9 guests in 4 cabins including a Master cabin, a VIP Cabin, a double cabin and a twin cabin with extra pullman.